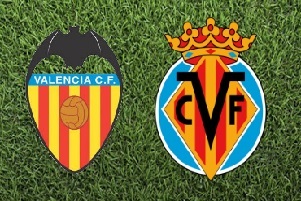 Valencia will play against Villarreal in Primera Division on Sunday. Valencia are playing very well and managed to defeat Barcelona with 2-1 away from home. They have collected 10 points from their last four league games. with 61 points, but they were able to win only one point in their last 3 league games. I expect them to be a bit more tired after a midweek game against Liverpool. Plus they have more important game coming in Europe League. Valencia good form combined with Villarreal bad recent form and tired legs is enough for me to make this bet at decent odds.